A full line of standard shaft collars that are offered in various clamping styles with a wide choice of bore configurations to meet application require- ments is available from Stafford Manufacturing Corp. of Wilmington, MA. Stafford Shaft Collars are available in one- and two-piece, set-screw, hinged, and Accu-Flange™ mount designs with smooth round, keyed, square, hex, and UNF, UNC, and left-or-right hand ACME threaded bores. Developed to provide an off-the-shelf equipment or system design solution, standard shaft collars come in steel, stainless steel, brass, and aluminum. Ideally suited for OEMs, contract manufacturers, and end-users, Stafford Shaft Collars with different bore styles can also include the Accu-Clamp™ feature which combines a non-marring clamp with a solid working face that is either fully machineable or hardened and ground. Sizes offered range from 1/8” to 12” I.D. Special modifications and materials are available. 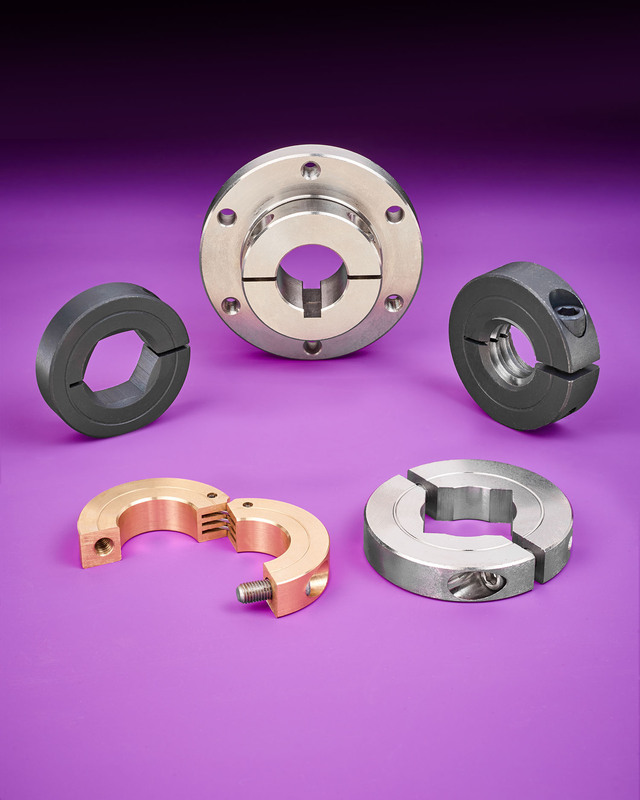 Stafford Shaft Collars with a choice of bore styles are priced according to size, material, and quantity. Price quotations are available upon request.